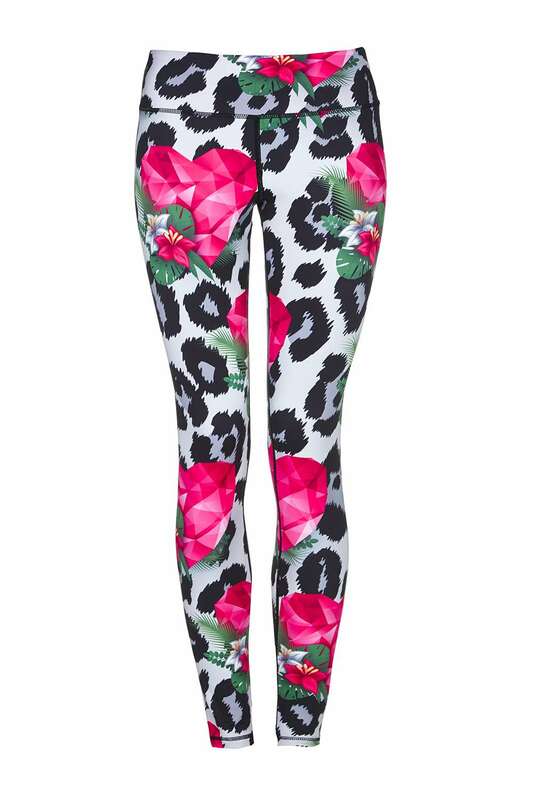 Yogaleggs Love pants are functional and on-trend funky fitness leggings. Made of high quality, breathable, moisture-wicking, antibacterial fabric with compression components designed to keep you cool and dry throughout your workout and perfect to take you from day to night. Yogaleggs are lightweight, silky soft and super comfortable. Made of stretch fabric which is quick drying and no need to iron. Suitable for yoga, pilates, running, barre, spinning, gym bunnies or simply lounging around. I love these leggings! The pattern is so vibrant and actually put a spring in my step. I’m sure I did a better workout in these as they made me feel so sassy! Gorgeous!